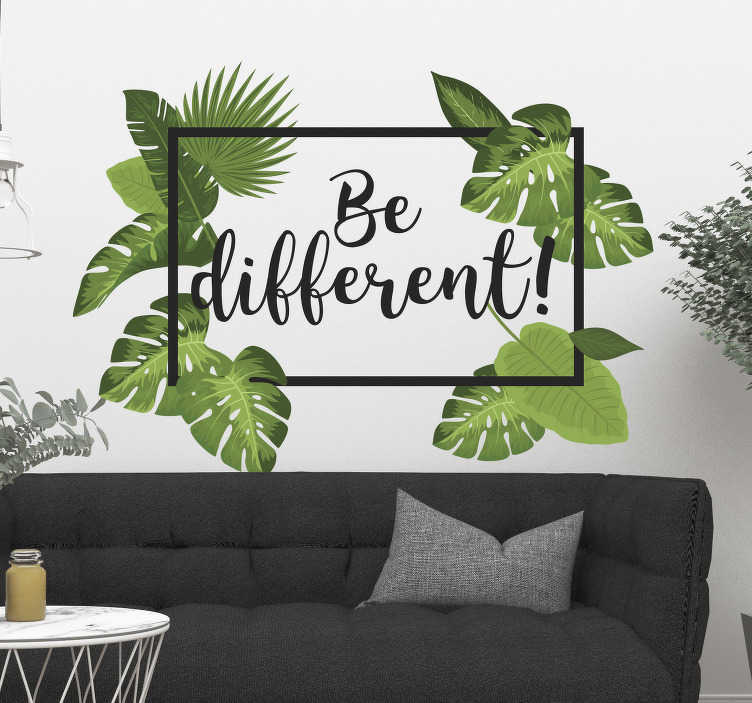 Inspirational wall sticker with the words "Be different!" in a black square surrounded by tropical leaves to create a happy and natural look. This motivational wall sticker from our nature range is perfect for creating a positive atmosphere on any wall in your home. This gorgeous floral design is exactly what you need to fill those empty spaces in your home decor, a unique and modern font covered in leafy greens to start your day off right!